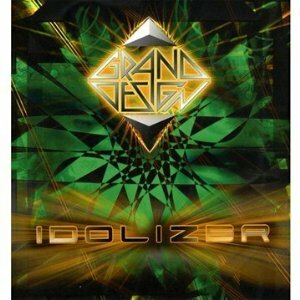 Grand Design are a Swedish band that formed in 2006 with an aim of producing 80s rock music with an up to date slant. Two of the bands members may be familiar to fans of heavier bands - Anders Modd and Richard Holmgren are both members of Wolf. Idolizer is the bands second album - their debut album, "Time elevation" was released in 2009 and experienced considerable success. The first thing to say about the album is that if you arent a fan of 80's era Def Leppard then you're not going to enjoy this album. Fans of Def Leppard are going to be divided though. The album is either heavily influenced and inspired by Def Lepppard, or its a blatant copy of Def Leppards music - I tend towards the former view - the album is heavily influenced by 80s Def Leppard albums. The similarities with Def Leppard are too striking to ignore, and I think that's the albums biggest flaw - rather than there being a range of bands you can point at as inspirations, all the songs sound like Def Leppard's left over songs. That's not to say it's a bad album - just that you need to accept that the album will constantly remind you of Def Leppard. OK getting past the similarities, what's the album like? Well if the aim was to capture the 80's feel then that's been very successful - its got that same highly polished sound that was so popular in the 80s. The music is great (and very familiar sounding), and the vocals are great too - a cross between the vocals you'd expect Def Leppard and those of many AOR bands. If you can get past the resemblance to Def Leppard then you'll probably enjoy this album - its very listenable with great songs on it, but if you're going to be annoyed by the resemblance to Def Leppard then this isnt for you. In short, this is an album for people who enjoy the music of Def Leppard (and their 80's albums in particluar) and want something new but similar. Idolizer is out on 31st October through AOR Heaven.